If you’re wondering how to tell if you have an ear infection, check out the following information first and then visit one of Phoenix, Arizona’s nine FastMed Urgent Care facilities. We have two new locations now open on East Thunderbird Road and West Indian Road that are ready to diagnose and treat ear infections. 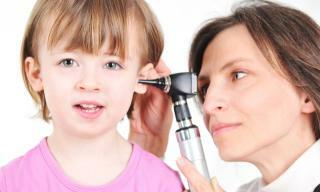 Ear infections usually occur as a complication of a cold or upper respiratory infection. So, if you’ve recently been under the weather and are now experiencing problems with your ear, that’s a good place to start. While battling a cold or respiratory infection, germs can find their way up the Eustachian tube and disperse in the inner ear, leading to an infection. An ear infection is the most common cause of an earache. Ear infections are more common in children and infants and account for the highest number of sudden trips to the pediatrician. Almost half of all antibiotic prescriptions for children are for ear infections. If left untreated, ear infections can lead to more serious complications such as hearing loss, meningitis, facial nerve paralysis and more. Babies and children are not the only ones who are more susceptible to ear infections. Research also shows a higher number of cases in males, people with family histories of ear infections, people who live in homes with smokers and people with weak immune systems or chronic respiratory diseases. How can you tell if you have an ear infection? Visit your Phoenix, AZ FastMed today and get the care you desire.